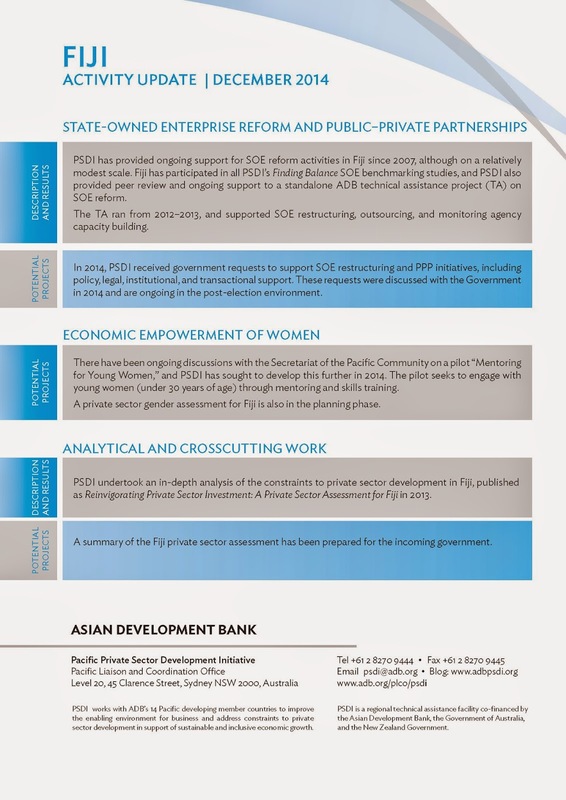 What has PSDI been doing in Pacific Island Developing Countries? 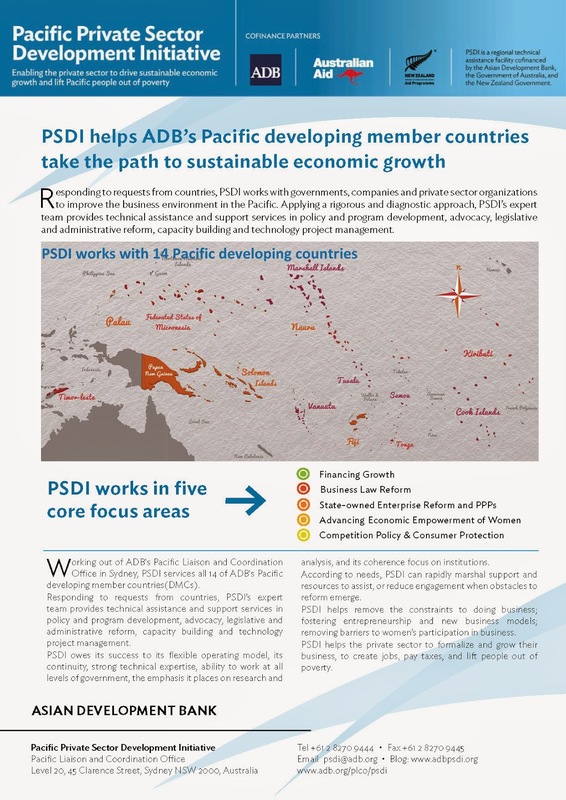 Click on the pages below to view PSDI's latest Activity Updates or download a PDF to catch up with our efforts in 2014 in 14 Pacific Developing Member Countries. 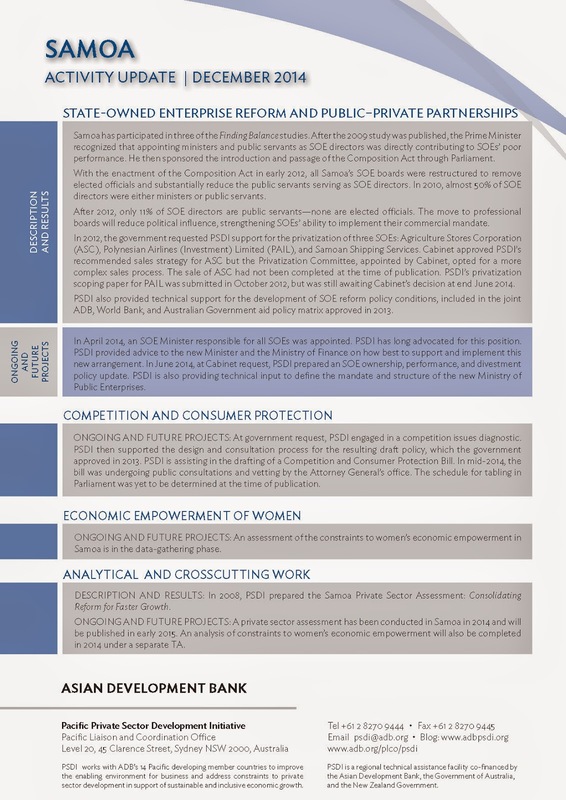 What is PSDI doing in Samoa? 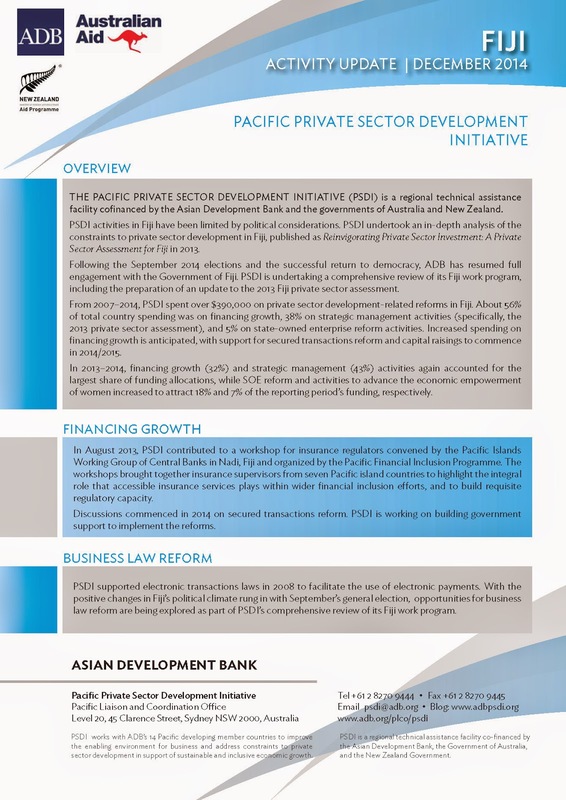 Click on the pages to view or download a PDF of PSDI's latest updates for Pacific Developing Member Countries. 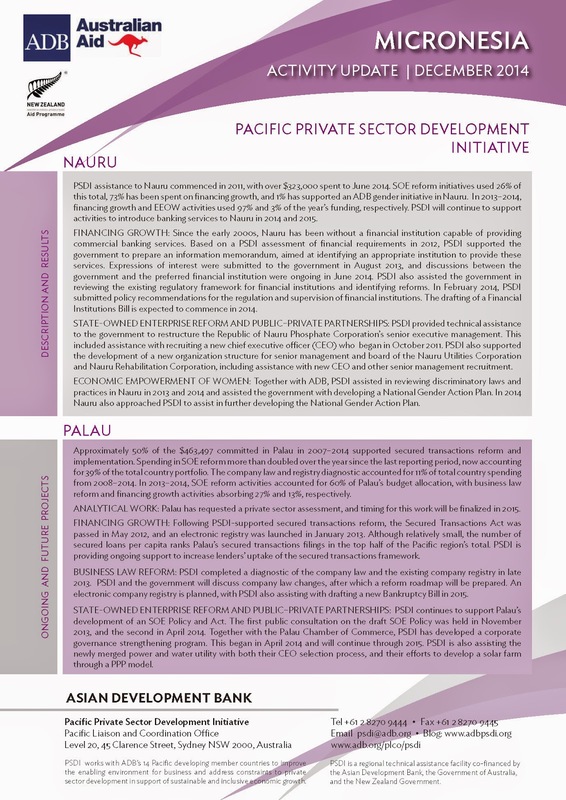 What is PSDI doing in Papua New Guinea? What is PSDI doing in Fiji? What is PSDI doing in Micronesia? 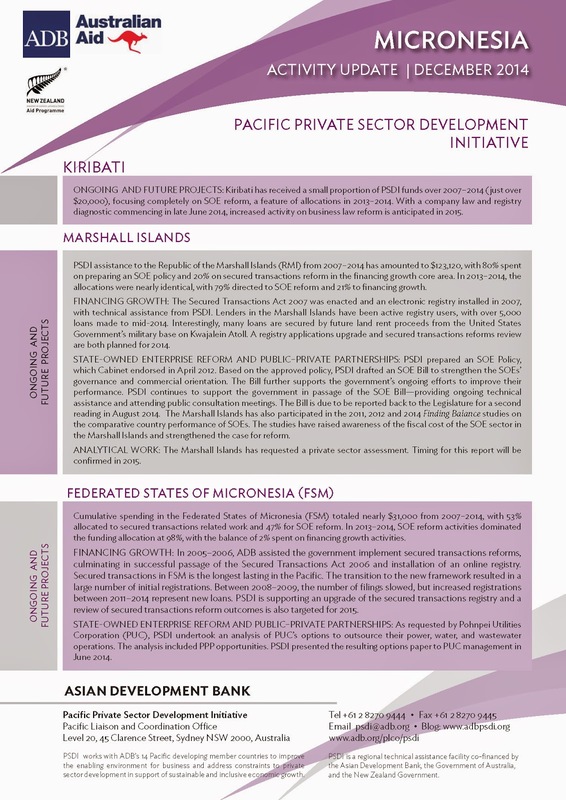 What has PSDI been doing to enhance the enabling environment for business in the Republic of Marshall Islands, the Federated States of Micronesia, Kiribati, Nauru and Palau? 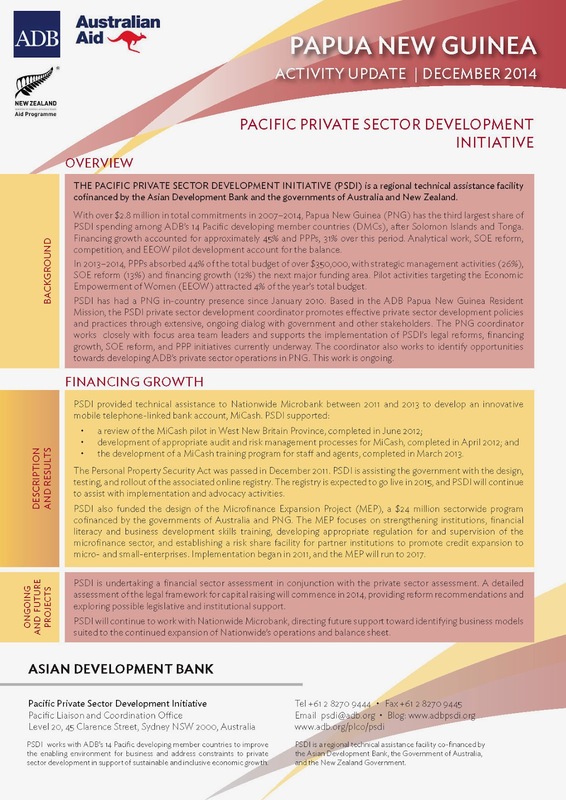 Click on the pages below to view or download a PDF of PSDI's latest updates for Pacific Developing Member Countries. 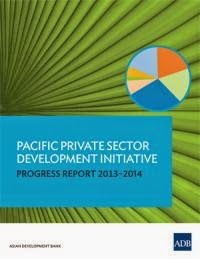 SYDNEY, AUSTRALIA (23 December 2014) – Advances in the business environment in several Pacific island countries mark 2014 as a year of achievement for the Pacific Private Sector Development Initiative (PSDI), according to the latest progress report for the regional technical assistance facility released today. 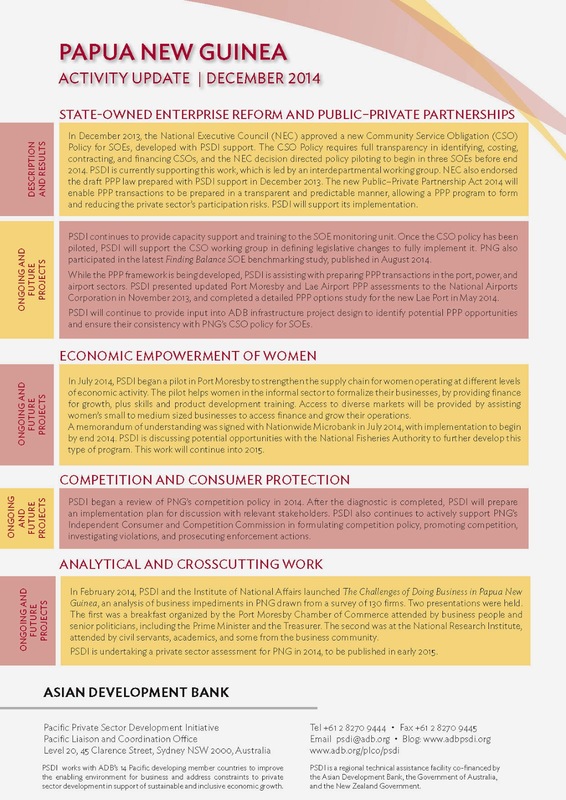 New online business registries in Tonga, landmark legislation on public–private partnerships (PPPs) in Papua New Guinea, and the establishment of pilots to economically empower women in four Pacific countries, are among the highlights documented in PSDI’s seventh Progress Report, which covers the reporting period July 2013 to end June 2014. 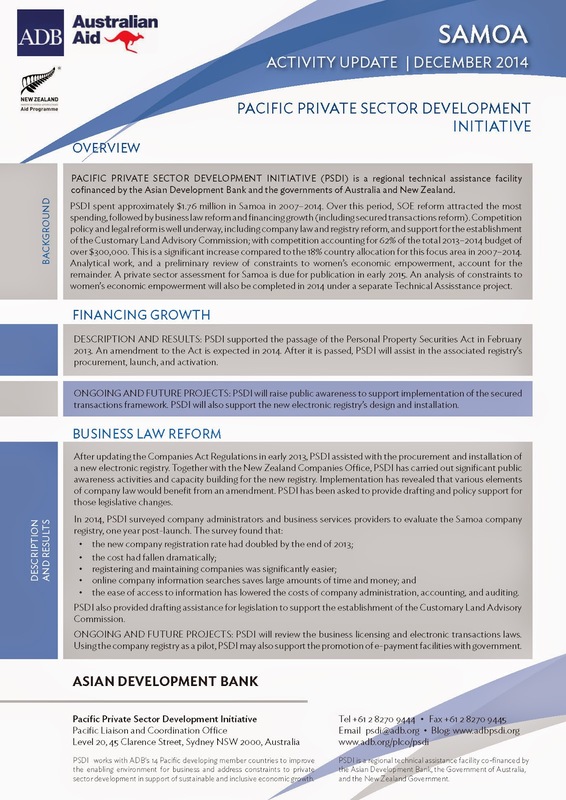 PSDI focuses on improving the business environment by promoting investment, encouraging entrepreneurship, and easing constraints to doing business across ADB’s 14 Pacific developing member countries (DMCs). 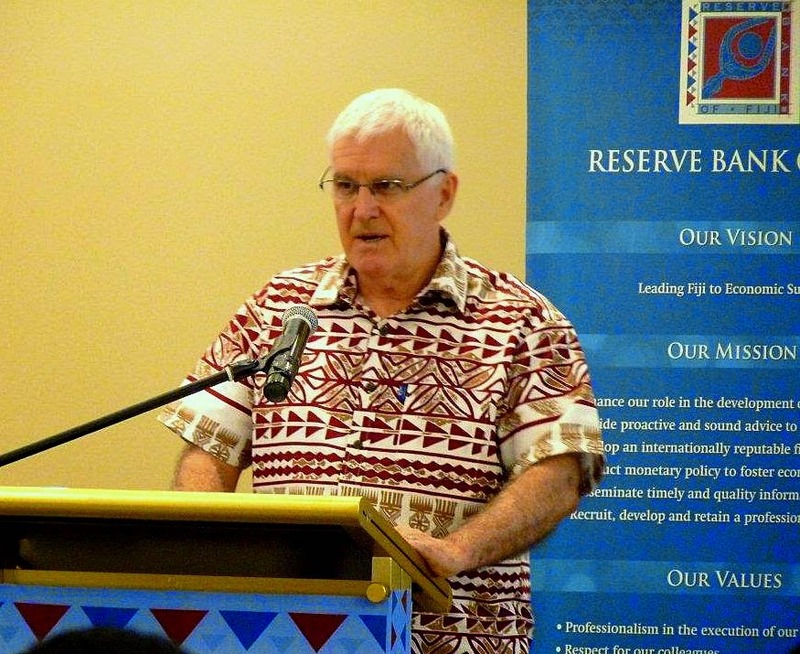 Operational since 2006, PSDI is cofinanced by ADB, the Government of Australia, and the New Zealand Government, which joined the partnership in 2013.
addresses Pacific Central Bank Governors in Suva. Thank you Governor Whiteside, Governors and other participants... and special thanks to all involved at the Reserve Bank of Fiji for their hospitality and organisational efforts. The substance of (my) presentation arises from the work PSDI has been doing in the Pacific, often with your banks, and from the personal discussions I have had with a number of you since I commenced my current role in January. What gave the work added urgency, was the realization that, outside the Pacific, there is so little understanding of the realities of Pacific economies and their financial systems. The full force of that realization hit me earlier this year in Jakarta – several of you were there – at the UN Asia-Pacific Outreach Meeting on Sustainable Development Financing. I contributed to a panel on capital markets in the Asia-Pacific. Alongside me on that panel were representatives from Moodys, JP Morgan, and Goldman Sachs. You will have guessed already as to how relevant most of that discussion was to the Pacific. Of course, the reality that has to be confronted is that the Pacific is not Asia, and it is most certainly not Europe or North America, or South America for that matter. The Pacific needs to be decoupled from ‘Asia-hyphen-Pacific’ when it comes to discussions on finance. NUKUʻALOFA, TONGA – The Government of the Kingdom of Tonga launched the region’s first integrated online business registry today, providing up-to-date information on Tongan companies and businesses to the public 24 hours-a-day, 7 days-a-week. The site was launched by Mrs. Vaimoana Fakatulolo, CEO of Tonga’s Ministry of Commerce, Tourism & Labour, at a ceremony attended by representatives of the private sector and supporting development partners including the Asian Development Bank (ADB) and the governments of Australia and New Zealand. The new website, now live at www.businessregistries.gov.to, allows users to file and access company records, business names and business licenses all from the one integrated resource, from wherever there is internet access.